You need to research a lot about the treadmill and then buy the one that you like. First check the warranty of the treadmill. Some treadmills provide 5 years warranty while some 2 years. Also make sure that the warranty is for the whole treadmill including the motor, which is the main part in the treadmill. The walking surface should be wide enough for you to walk and run and you should not feel uncomfortable. There are also varying lengths of treadmills, so try to take a test different treadmills before you buy. If you are an overweight person, then make sure you check the weight limit of the treadmill. Some light duty treadmills may not work properly. Most of the treadmill advertisers like to advertise many things to catch the eye of the buyer. Make sure all the points mentioned in the advertisement are featured. There are many types of treadmills, and many different colors, so you have a lot of choices. There are many add-on features which you can add on your treadmill such as a small television, ear phones etc. Some treadmills already have these options, so you may wish to buy the latest and best one. The treadmill, which you buy, should be safe and have an emergency stop mechanism. Suppose if there is a malfunction in the treadmill or you feel exhausted and want to stop the treadmill immediately, then you have to stop the treadmill at once. So check for this feature when you buy a treadmill. 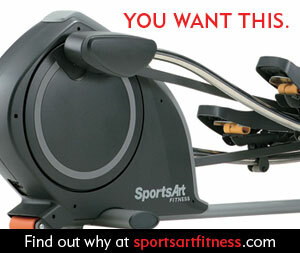 You can shop for treadmills online or buy from a sports shop. Go ahead and purchase a treadmill, and start to get fitter.